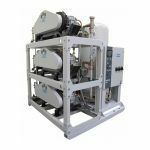 The fully-automatic universal medical manifold offers continuous, fail-safe pressure and flow control from liquid or high pressure medical cylinders. The manifold automatically switches from the primary bank to the secondary bank utilizing dome bias technology ensuring reliability. 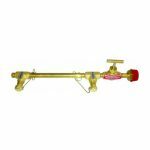 Header Bars are oxygen cleaned to include brass shut-off valves for high/low and liquid pressure gases. Configurations include Staggered, Straight, L-Shaped, U-Shaped and Vertical Cross Overs. 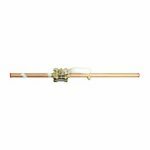 Pigtails are available in standard sizes of 36″, Brass and Stainless Steel. 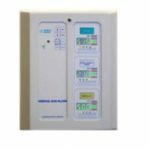 The medical gas alarm is used by hospital personnel to monitor gas pressures and vacuum levels of the medical gas pipeline. All gases or vacuum levels are displayed with large red LED’s for clear visibility, readable even in dim lighting conditions. Zone Valve Boxes are built with quality in mind. Each valve includes a large color-coded gas identification label strategically placed for visibility. The boxes can be configured to hold 1 to 7 valves with or without monitoring gauges. 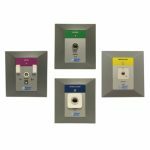 The Zone Valve Boxes shall comply with NFPA-99. 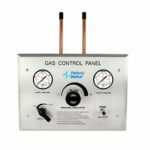 The Gas Control Panel is essential medical gas equipment and designed to power surgical instruments in operating rooms. 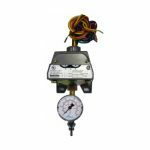 A large Control knob located in the center of the unit allows hospital personnel to regulate the output pressure and hence control the pressure delivered to the instrument. 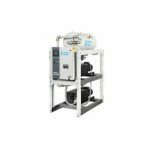 The Emergency Oxygen Supply Connection will provide a connection for a auxiliary source of oxygen to the hospital’s main oxygen pipeline for emergency or maintenance situations. 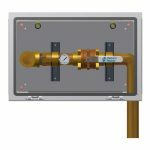 The inlet will consist of a 1″ or 2″ ball valves. Medical Gas Ball Type Valves. Brass/Bronze body and chrome plated brass ball. The 1/4 turn handel operates the open and closed positions. Supplies clean and prepared for oxygen service. Sizes are available from 1/2″ – 2 1/2″. 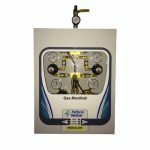 Delivering aesthetically pleasing, NFPA compliant medical gas outlet for any patient room. All outlets are 100% cleaned and tested in order to ensure quality and are backed by our industry leading 5 year warranty. We also have other configurations available to match your requirements. 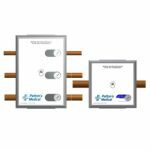 Pressure and Vacuum Switches will incorporate a U.L. Listed Single Pole double throw snap-action micro switch. The switch enclosure will have a NEMA 4 water tight housing with a mounting bracket. Electrical ratings will be 10 amps at 120 volt AC.